일본 전자 종합 메이커로 유명한 동사가 내놓아 수상한 제품으로는 모델 QuietPoint ATH-ANC7 액티브 노이즈 켄슬링 헤드폰(Active Noise Cancelling Headphones)으로 잡음 제어 기능을 갖춘 제품.콤팩트 디자인의 경량급 설계 모델로 주변 잡음을 85%까지 제거 시켜 줄 수 있게 설계된 새로운 제품이다. 음악은 물론 DVD용으로 사용 할 수 있게 되어 있으며 네오디늄 마그네트를 사용해 만든 40mm 드라이버를 장착해 만들어진 헤드폰. 제품 전시관은 컨벤션 South 2/25356. These lightweight, compact headphones effectively reduce distracting background noise by up to 85% while offering the superior audio quality that has made Audio-Technica a worldwide leader in electro-acoustic technology. 캐나다 온타리오 Burlington에 위치해 있으면서 특수용 각종 헤드폰 등을 개발 전세계 시장에 판매하고 있는 메이커가 내놓은 Dragon™ Bluetooth 헤드셋은 328+피트 범위에서 사용 할 수 있게 설계된 헤드세트. 사무실 또는 가정에서 PC와 헤드폰 그리고 PDAs 등에서 간편하게 연결시켜 줄 수도 있게 되어 있다. 듀얼 마이크로폰 벡 그라운드 잡음 제어 기능 등이 탑재되어 있다. 밭데리 한번 차지로 3시간 사용이 가능함. 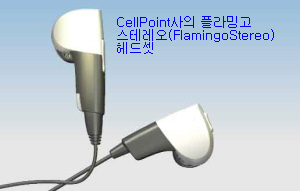 FlamingoStereo(tm)is a lightweight Bluetooth stereo/mono headset featuring CellPoint's patented EarClick(tm) system. It can be used alternatively for music listening, mobile phone or VoIP communications. 제품 중량은 11g이며 30피트 10m범위 내에서 사용 할 수가 있으며 제품 컬러는 검정과 실버 등 두 가지로 되어 있다. 제품 전시관은 Sands 엑스포 72467. 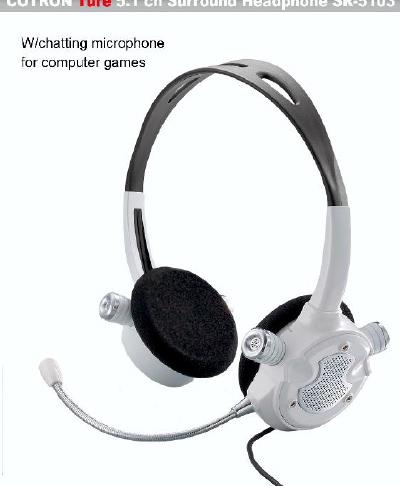 The Flamingo Wired is a lightweight wired headset designed for a wide variety of music players, from MP3 players, iPods, multi-media capable mobile phones and portable gaming and multi-media systems. 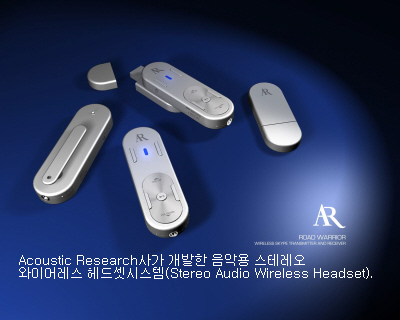 모델 nX6000은 디지털 시그널 프로세서 기능의 Bluetooth 2.0을 내장시켜 만든 10.9 g경량급 헤드셋. 이동이 자유스럽고 복잡한 시끄러운 거리 자동차에서 편리하게 사용 할 수 있게 설계된 특수 헤드셋으로 주변 잡음 등을 제어 시켜 줄 수 있게 되어 있다. FrontWave 특허 기술로 개발되었으며 표준 mini-B USB charge port가 준비되어 있음. 제품 전시관은 Sands 엑스포 72467. The nX6000 is the ideal solution for hands-free mobile communications in all life's environments. 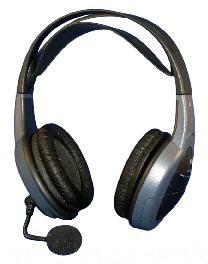 The headset's digital signal processor is the most powerful on the market. 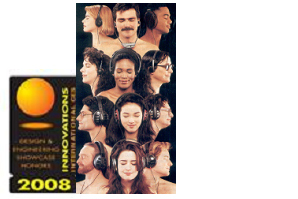 Cotrons SR-5103 the only TURE 5.1 Surround sound headphone available in the world is designed to beused in Gaming, CD/DVD, Home Theater Equipments, Computers, and Internet telephonic applications. Cotron's TURE 5.1 CH Headphone is the - only - TRUE 5.1 Surround sound headphone with a built-in chatting microphone available on the market today. 1983년에 설립된 전자 제품 메이커로 대만 타이페이시에 위치해 있으며 이번에 수상한 모델 Touch Bluetooth 헤드셋 제품은 경량급 설계가 특징. 동사는 2007년도에도 수상한 경력을 갖고 있다. 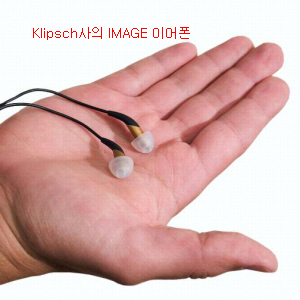 미국 스피커시스템 전문 메이커로 유명한 Klipsch 그룹이 수상한 이미지 이어폰 제품. 리프 스타일이라는 새롭고 참신한 개념으로 디자인된 이 이어폰 모델은 최소형 제품으로 귀속에 간편하게 넣어 사용 할 수 있게 만든 형. 시스템에 사용된 드라이브는 풀 레인지 KG 926이며 3.5mm 입력 콘넥터 감도는 110dB로 되어 있으며 임피던스는 50옴 그리고 중량은 10g이다. 제품 전시는 Renaissance/Ren 29. As the world's smallest and lightest full-range in-ear earphone design, IMAGE from Klipsch fuses lifestyle, technology and fashion to offer a personalized fit and deliver a precision-tuned acoustic experience. 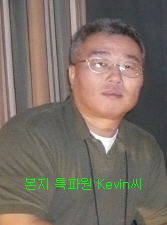 미국 케이블 메이커로 유명한 몬 스타 케이블사가 개발한 iPod 서플용 iFreePlay(tm)은 자유롭게 코드 없이 음악을 즐길 수 있게 개발한 헤드폰. 제품 전시관은 South 1/20313D, South 1/20315D, South 1/21402, Venetian Tower/Ven 30-319. 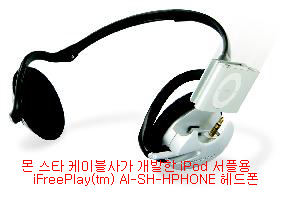 Monster iFreePlay(tm); for iPod shuffle (model #AI-SH-HPHONE) lets you enjoy music with complete cordless freedom. Exclusive iDock™ design eliminates cords, delivers great sound, and provides easy access to iPod shuffle. 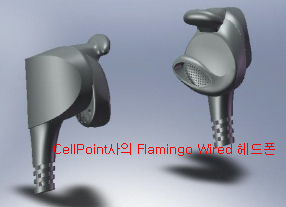 모델 S9는 인티형 헤드폰으로 경량급 Bluetooth 설계로 제작된 제품. 별도 아답타로 iPod에 간편하게 연결시켜 사용 할 수 있게 되어 있으며 한번 차지로 6시간 사용 할 수 있게 되어 있다. 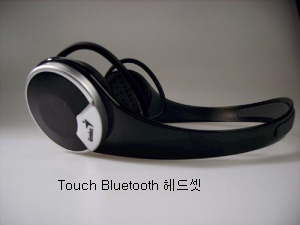 한번 버튼 터치로 call/music switching이 가능하며 180mAh lithium-ion 리챠지 받테리 그리고 Bluetooth 2.0 와이어레스 테크노라지 중량은 1.14oz. 제품 전시관은 컨벤션센터 Central/8545, North Hall Meeting Rooms/N117. MOTOROKR S9 integrates wireless mobile music and calls with unmatched lightweight design. Behind-the-head wearing style, preferred for top comfort and stability, combines with music and call selection from the headphones. 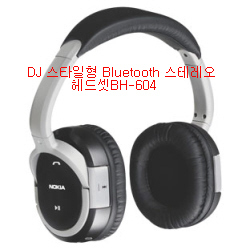 DJ 스타일형 Bluetooth 스테레오 헤드셋BH-604는 하이파이급 음향 기술로 제작된 시스템으로 깊은 저음 대역과 맑은 고음 대역을 청취해 줄 수 있게 설계된 헤드셋. Bluetooth v2.0을 사용하고 있으며 A2DP과 AVRCP(원격조정 기능),헨드 프리 HFP 그리고 헤드셋 HSP으로 구성되어 있음. 제품의 중량은 250g. 제품 전시관은 컨벤션센터 South 3/30313, South 4/S214. 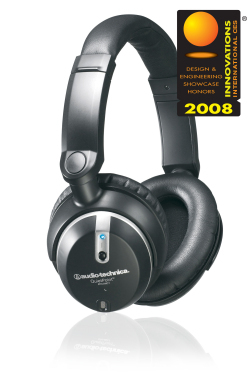 DJ style Bluetooth Stereo Headset with excellent Hi-Fi audio quality, from deep bass to lively treble. Built-in controls. Comfortable over-the-ear cup earphones. Can be used for voice calls. 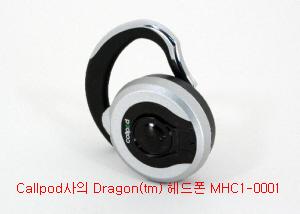 모델 SHB9000은 다국적 기업인 필립스사가 개발 수상한 Bluetooth 스테레오 무선 헤드폰. 제품 전시관은 컨벤션센터 Central/12124. The SHB9000 Bluetooth stereo headset delivers a "better than corded" sound experience from its acousticallytuned speaker chassis, its proprietary sound enhancement algorithms and its echo and noise reduction features. 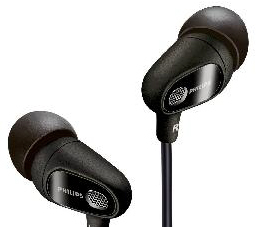 Experience 80% less ambient noise with the new Philips SHN7500 in-ear active noise canceling headphones. Intelligently engineered, sophisticated electronics reduce unwanted noise by 80%, providing supreme listening pleasure. 1962년에 처음으로 초경량 통신 헤드셋을 선보였으며 현재 경량 통신 헤드셋 제품에 있어 세계 최고 수준의 디자이너, 제조업체 및 판매 회사의 자리를 차지하고 있다. 멕시코, 테네시, 영국 및 네덜란드의 주요 설비를 포함하여 19개국에 사무실을 두고 있다. 본사는 캘리포니아주 산타크루즈에 있는 주식 회사(NYSE: PLT)이다. 제품은 Plantronics 공인 협력업체의 세계 유통망을 통해 판매 및 지원되고 있으며 소매 및 소비자 전자 매장을 통해서도 판매되고 있다. 동사가 이번에 수상한 헤드셋은 Fortune지 선정 500대 기업 대부분에서 광범위하게 사용되고 있으며 1969년 달에서전해온 역사적인 "이는 한 사람의 작은 한 걸음이지만..."으로 시작하는 메시지를 포함하여 수많은 유명한 사건이나 영화에서 사용되었다. 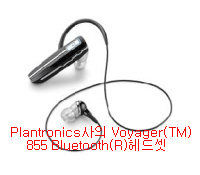 모델 Voyager™ 855 Bluetooth 헤드셋은 가볍고 다용도로 사용할 수 있으며 하루 종일 착용해도 편안하며 WindSmart 바람 차단 기술로 깨끗한 음성을 전달해주게 설계되어 있다. 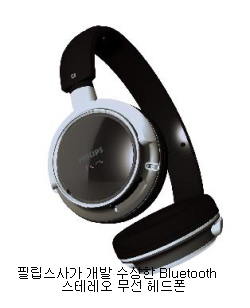 독보적인 Multipoint 기술로 Bluetooth 장치 두 대에 끊김 없이 강력한 통신 솔루션을 제공합니다. 언제 어디서나 무선의 즐거움을 누리실 수 있는 점이 특징. 전시관은 컨벤션센터 South 1/20913. 오디오시스템 전문 메이커로 캐나다제조 회사인 Simon Audio사가 개발 수상한 무선 게임 헤드셋(Wireless Gaming Headset) 모델 SA-300G는 3 와이어레스 오디오 채널 스테레오 방식 2.4GHz 디지털 라디오 트랜시버 시스템. 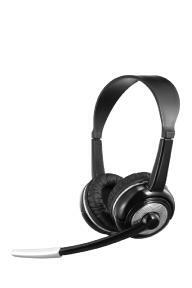 The Simon Audio wireless gaming headset has three wireless audio channels for stereo and microphone using a 2.4 GHzdigital radio transceiver. Location(s): This honoree is not exhibiting at the 2008 International CES.